More often than not, the apologists of Amway India say that Amway India is facing problems only in Andhra Pradesh but nowhere else in India. The critics even go to the extent of blaming one police officer who they claim to be holding a grudge against the company. It is proved wrong once again. Last year, the Kerala police filed criminal cases against Amway India arresting CEO and MD William Pinckney. Here is another instance to prove the critics wrong. This is time it is in the national capital New Delhi. 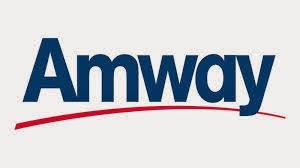 New Delhi (ANI) Direct marketing firm Amway India has been facing some tough times of late; and its troubles don't seem to be ending any time soon. In the past year, the company and some of its key officials have been charged with financial irregularities. In May last year, its chairman and CEO William S Pinckney and two directors were arrested by Crime Branch officers for violating various provisions of the Prize Chits and Money Circulation Schemes (Banning) Act, 1978. And now, a Delhi resident has lodged a police complaint accusing Amway India of being involved in a scam allegedly worth over Rs.2000 crores. According to the complainant, Kiran Pal, key officials of Amway India, including Pinckney and Chief Marketing Officer Sundeep Shah, allegedly adopted restrictive trade practices that resulted in misrepresentation, and the sale of inferior quality health, beauty and nutritional products. In documents provided by Mr. Pal, he has claimed in his complaint that an Amway Enterprises Limited distributor lured him with the prospect of becoming an Independent Business Owner (IBO) and achieving complete financial independence. According to the documents provided to the authorities, Pal has said his wife used one of Amway's eyeliner products, and thereafter, had to undergo costly medical treatment for burnt eye lids. Based on Pal's complaint, the Civil Lines police station has issued a notice to the Amway India's offices in Sector 32, Gurgaon, seeking clarifications on the method of its operations, and details of agencies, if any, that verify Amway's products. Amway India has not given a response or a statement with regard to this complaint, despite repeated attempts to contact them. corporate gifts in singapore under $11, promotional gift and premiums with *free 1C printing of message and logo within 5 working days! Your best palce for budget gift in Singapore!